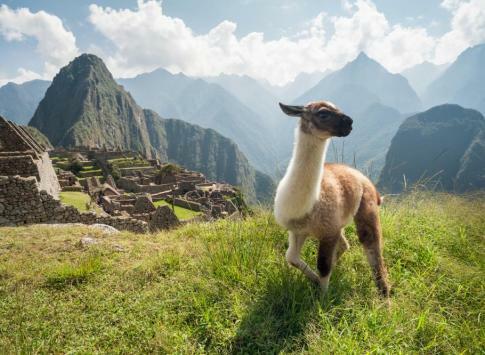 The highlight of nearly everyone's Peru tour is Machu Picchu, which can be visited on a panoramic train ride from Cusco passing through the ancient fertile Sacred Valley of the Inca, whose towering mountains escond massive stone Inca fortresses once protected the Inca from the invading Spanish. Cusco was the center of the Inca empire, and Inca walls stand througout the center of the city still today. Explore Lake Titicaca, colonial Arequipa and the Colca Canyon, or enture deep into the Amazon rainforest on an Amazon river cruise spotting monkeys, rare birds and thousands of species in one of the most biodiverse places on Earth. Contact Adventure Life's Peru specialists for help finding the perfect trip to Peru & Machu Picchu that fits your precise interests, schedule and budget. This is our most popular Peru tour, an all inclusive vacation package that starts in Lima, then flies to Cusco, explores Sacred Valley and spends two days exploring Machu Picchu. The trip continues on to Lake Titicaca to explore South America's largest lake. If you have a few extra days, extend your trip to explore the Amazon jungle. Journey through the Sacred Valley to Machu Picchu and explore the Peruvian Amazon in this 10 day tour. 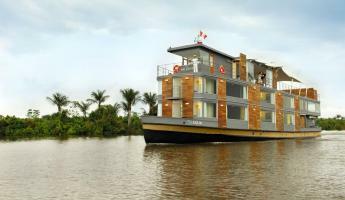 Spend 3 nights in the Amazon, observing the multitude of wildlife. Continue to Cusco and make your way through the Sacred Valley, exploring markets and ruins. 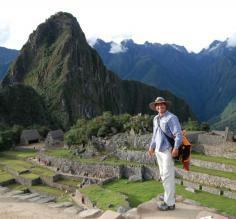 Your trip culminates at Machu Picchu, one of the new seven wonders of the world. This 7-day tour culminates in a one day hike on the Inca Trail arriving to Machu Picchu with a full day and a half to explore the ruins. Explore the Inca capital of Cusco, the Sacsayhuamán Ruins, and Sacred Valley before taking the train to marker 104 km and hike the Inca Trail to Machu Picchu (no traditional 4-day trail permit required!). Explore Peru's vast jungle with a 3-night stay at Sandoval Lake Lodge. Set amidst a rich biologically diverse haven, Sandoval allows visitors to rise early for otter watching, view Brown Capuchin Monkeys, spot Black Caimans or catch a glimpse of Red-Bellied Macaws. Nature hikes and motor canoeing allow you to get up close to the incredible wildlife. 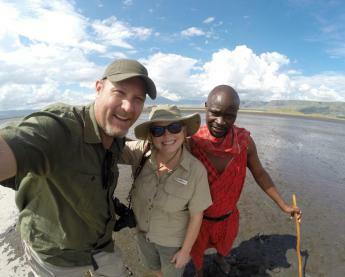 Adventure Life guides are the unsung heroes whose efforts create amazing experiences for our travelers. They will become like family as they guide you through Peru, and we wanted to give you the opportunity to get to know a little about them before your trip! For most traveling to Peru, visiting Machu Picchu is a given, and it's a matter of how to visit and where else to include in your tour of Peru. The two different options for arriving to Machu Picchu are 1) hiking the Inca Trail over 4 days or more, or 2) taking a panoramic train from Cusco, through the Sacred Valley and either visit Machu Picchu the same day, or stay in Machu Picchu Village (Aguas Calientes) that allows you to arrive early before the crowds or even visit Machu Picchu twice, depending on the itinerary. We highly recommended that your tour itinerary include the lesser known villages and Inca fortresses of Ollantaytambo and Pisac in the Sacred Valley and extra time in the navel of the Inca universe, Cusco. 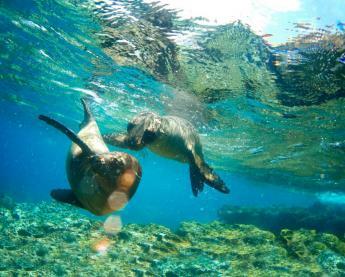 Combine Machu Pichu with other South American classics like Peru's Amazon Rainforest, Lake Tititcaca or even combine a trip to Peru with the Galapagos Islands! Most travelers arrive to Peru via the capital Lima, and the Jorge Chavez International Airport (LIM) and spend a night or more in Lima. 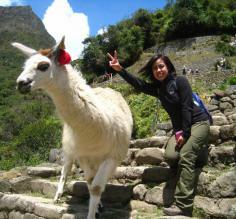 Many will fly to Cusco the next day on the most direct route to Machu Picchu. Most flights from Lima to Cusco leave in the morning to arrive before afternoon winds rise at the Cusco Airport (CUZ) at 10,860 feet altitude. Trains to Machu Picchu leave from outside of Cusco (Pornoy Station) passing through the Sacred Valley and Ollantaytambo before arriving to Aguas Calientes, A.K.A, Machu Picchu Pueblo. There is also a train from Cusco to Puno, on Lake Titicaca, and flights to Puerto Maldonado & Iquitos in the Amazon and to Arequipa, gateway to the Colca Canyon. When Should I Travel to Machu Picchu & Peru? 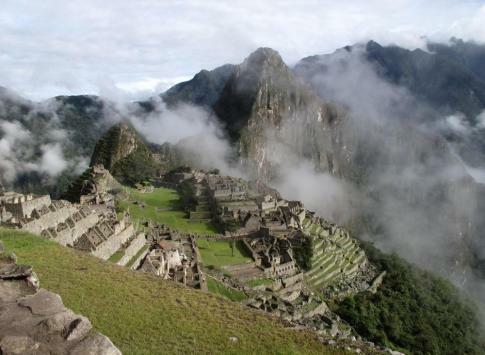 The rainy season in the Machu Picchu region begins in November and goes through March. January is the rainest month, and the Inca Trail to is closed during the month of February for repairs, including closing of the Inca Trail this February 1-28, 2019). The buzzing city of Cusco combines modern comforts with traditional Peruvian charm in a delightful colonial city built on the fusion of Spanish and Inca influences. With a small international airport, this city happens to be the starting point for most Machu Picchu excursions and itineraries. 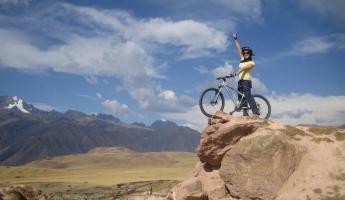 Easy access to the head of the Inca Trail puts you right in the heart of the Sacred Valley. In Cusco itself, you'll find small cafes, corner diners, great restaurants, and comfortable hotels, all adapted into the Inca-built walls that have endured the test of time. Arguably the best way to experience the Sacred Valley - the heart of the ancient Inca Empire - is to do a hike on the legendary Inca Trail. This path cuts through the valleys and over the peaks of some of the most important areas of the Peruvian Andes for the Inca. Your experience culminates with a day of exploration at the renowned fortress ruins of Machu Picchu, including a guided tour that will highlight all of the major buildings and temples that once constituted this promontory. 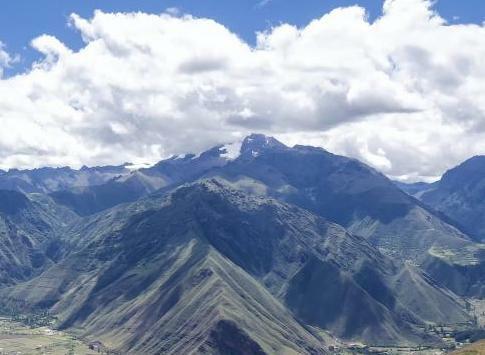 Salcantay- The signature Inca Trail excursion that takes you up the peak of Salcantay to a stunning panoramic view of the Andes before pushing on towards Aguas Calientes & Machu Picchu. Choquequirao: A hike to the "sister city" of Machu Picchu and the Inca "cradle of gold" (as its name translates in Quechua). Accessible only by foot, the community there still preserves Inca customs & traditions. Cachiccata: A great alternative trail to the Inca Trail that is less crowdeed, but just as breathtaking. The Sacred Valley was once the heart of the Inca Empire, tucked in the cradle of the Andes. 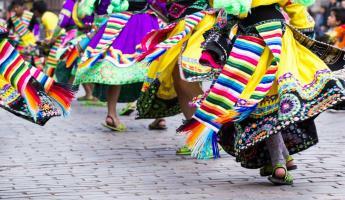 Even today, the vibrant marketplaces, well preserved ruins, and rituals and customs that have endured centuries breathe that age-old Inca spirit in this sacred area. Ollantaytambo - This town on the Urubamba River was the last Inca sanctuary in their fight against the Spanish and is now home to interesting ruins and a population that has largely indigenous heritage and therefore preserves old Inca customs & traditions even today! Machu Picchu! Considered one of the wonders of the world, this mountaintop fortress above the town of Aguas Calientes is home to the best preserved Inca ruins of the whole empire, with self-guided and expert-guided tours available. Machu Picchu- Want some insider advice? Stay the night in Machu Picchu Village (Aguas Calientes) and rise early to have the ruins to yourself before the crowds arrive late-morning. 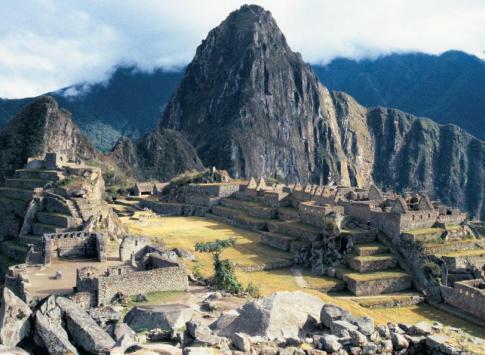 Inca Trail- the classic hike takes 4 days, but there are versions from 1-6 days, as well. Along the way, you will trek through the majestic land that was once home to the Inca empire and get to know Peru in a truly privileged way. Sacred Valley- When the Inca nobles of Cusco wanted to escape from the busy city life, this was the spot. Most visit on rushed day trips, so be sure to stay the night in one of the charming villages so that you can get the most out of this experience. 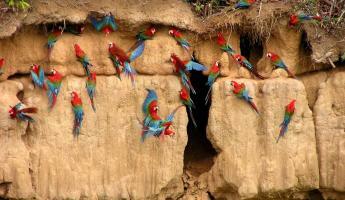 Manu Biosphere- In our opinion, this is the wildest place in Peru's Amazon. See the largest macaw lick and maybe even giant river otters, among other fascinating biodiversity in this lush corner of the rainforest. Lima- What was once headquarters for Spain's sprawling colonial empire is now headquarters for a world-renowned culinary scene. 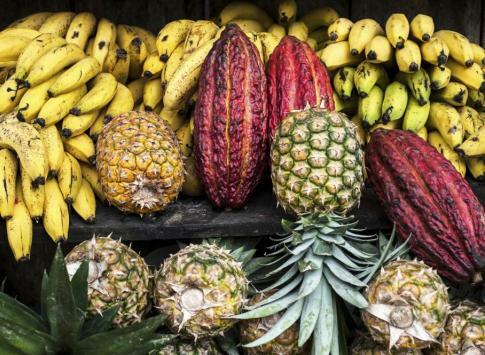 Peru's bustling capital city teams with rich history and mouthwatering food. Generally speaking, no. 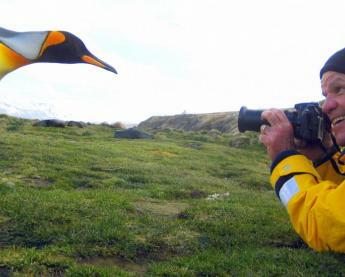 The following countries do not require a Peru Tourist Visa to enter: United States, Canada, United Kingdom, Switzerland, South Africa, New Zealand, Netherlands, Ireland, Germany, Belgium, Australia. If your home country is not on this list, you should check with the Peruvian Embassy in your country for more detailed travel requirements. While tipping is not required, it is a good way to show appreciation for excellent service. You can budget $2-$10/day for your guide and $1-3/ day for your driver. High speed internet access is available in most hotels and cyber cafes in the major cities. In the rural areas, you are less likely to find an internet café and some boutique hotels do not have internet access either, although most do. Feel free to ask us before booking if Internet access is a priority for you. Can I use my cell phone while in Peru? It may be possible to use your cell phone from home while traveling in Peru. First, you must have a GSM phone that has a chip (tri or quad band that uses either the 850 or 1900 MHz band). Check your phone's compatibility here. You then need a plan that allows international roaming or the phone must be unlocked to be able to use a local purchased GSM chip from Claro, Entel or Movistar. Roaming can be extremely expensive, so check with your operator before traveling to confirm your best option. Peru has 220 volt, 60 cycle electricity, so devices that are 110 volt may require a converter (check the input voltage on each device). Plugs are usually 2-pronged flat type like in the United States, however there are places that use the 2-rounded prongs as well, in which case a round two-pronged converter would be necessary. Don't forget a 2-prong to 3-prong adaptor if you have 3-prong devices. In the bigger cities and the hotels we feature, the toilets are flushable. However, in some of the more remote areas, especially on treks through the Andes, you’ll likely encounter squat toilets as well. You should always have toilet paper and hand sanitizer with you just in case. Short bus ride: 25 cents. 1 hour of Internet in a cyber café: 75 cents. Dinner in a decent restaurant per person: $8-$12. You should not drink the tap water in Peru, however we make sure that there is always safe bottled water available for you. You can use the tap water to shower, wash your hands, and wash dishes with a strong antibacterial soap as long as you let them dry completely before using. We do recommend against brushing your teeth with the tap water. How will I pay in Peru? Do I need to exchange my money? Credit cards are generally accepted in restaurants and hotels in main cities like Cusco and Lima. Many travelers prefer to simply take their credit cards along and withdraw money from the ATMs as needed. However, in the Amazon and Andes and other rural areas, you are not likely to find an ATM or stores that accept USD, so you’ll need to make sure to exchange some of your money before departing the city. Most small stalls where you can buy food and souvenirs only accept cash. 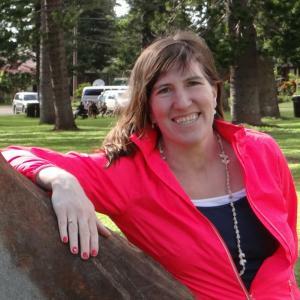 Do I need to purchase travel insurance before heading to Peru?